while allowing the inner glow of the skin to penetrate. While most products in this category tend to leave skin looking dull, the Pore Control Serum, based on the new cutting-edge technology, provides two actions at once: pore control and illumination. The unique skin perfecting serum, which is great for oily and combination skin, works to diminish the appearance of pores, while reviving skin’s own radiance. 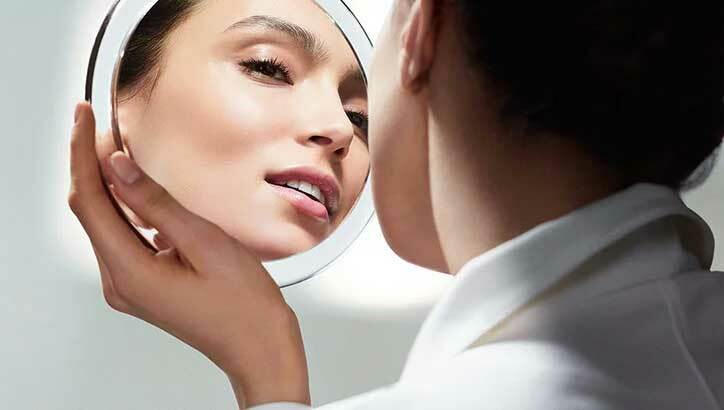 Clarins has discovered that the skin around visible pores contains lower levels of collagen and elastin, two compounds responsible for density and elasticity of the skin. 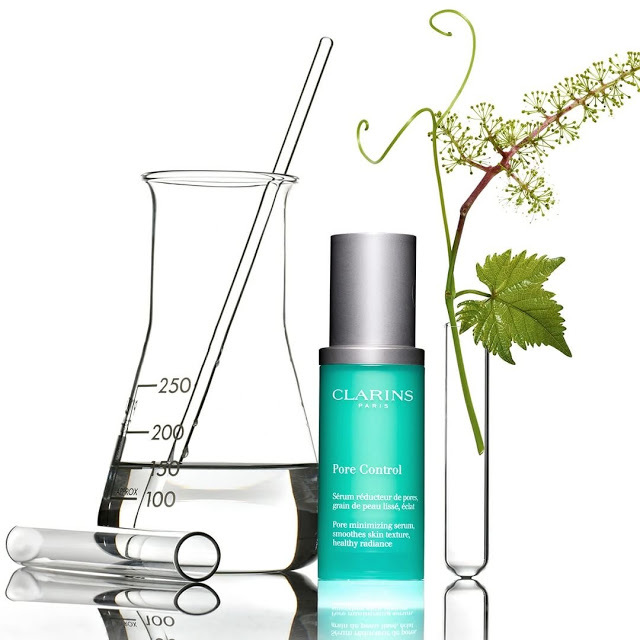 To solve this problem, Clarins has included two powerful plant extracts in its formula. Vine flower cells and organic strawberry tree work together to boost collagen and elastin around the pores, which results in shrinking and minimizing their appearance. This dual-action serum contains mattifying powders that visibly reduce the appearance of pores by blurring their contours and absorbing excess oil. It also features light-enhancing pigments to leave skin even, radiant, and healthy-looking. In addition, tamarind pup acid works as a gentle exfoliator helping to remove dead skin cells and refine its texture. Clarins Pore Control Serum features a lightweight, moisturizing texture that instantly sinks into the skin to visibly reduce the appearance of pores and provide a nice, smoothing effect, and a shine-free finish. Clarins Pore Control Serum is available now online from Clarins, Debenhams, Brown Thomas and Clarins counters, priced at €50.00 for a 1oz bottle.